"Napkin Idol" was Tuesday nights! 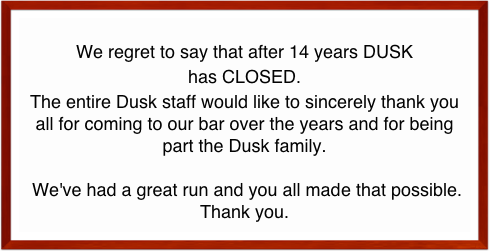 Dusk should be thought of as your neighborhood bar - even if you don't live in the neighborhood. The clientele ranges from people in advertising, IT, press and the music industry, to "hipsters," singles and couples. The thing that brings them all together is the feeling that this place is their secret hideout, where they can interact or be left alone, and always find good people. 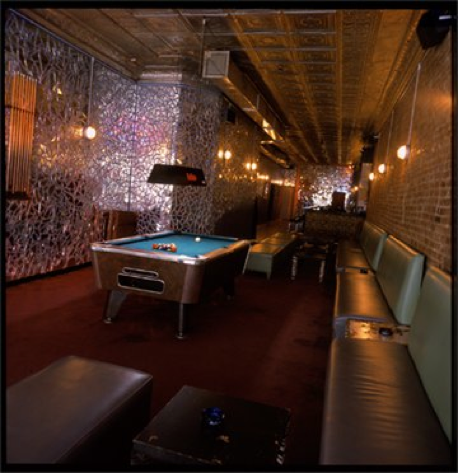 The restrooms were rated one of the top four best bathrooms in the country by Esquire magazine, with a one-way mirror overlooking the bar, the New York Observer called them: "... a little bizarre, but somehow satisfying." 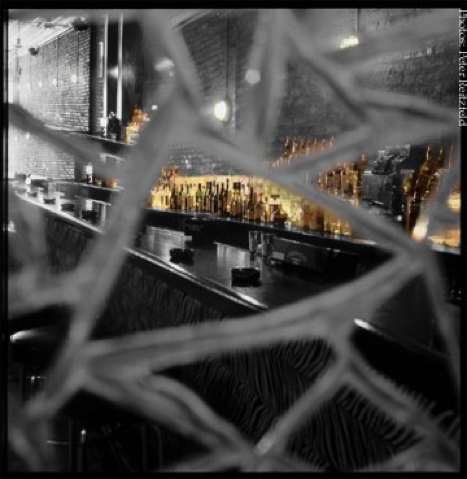 The walls at Dusk are exposed brick and Mirror Mosaic that extends onto the front window and door by way of frosted glass. Find us on MySpace and be our "friend". Fantasia showed up at our Karaoke!